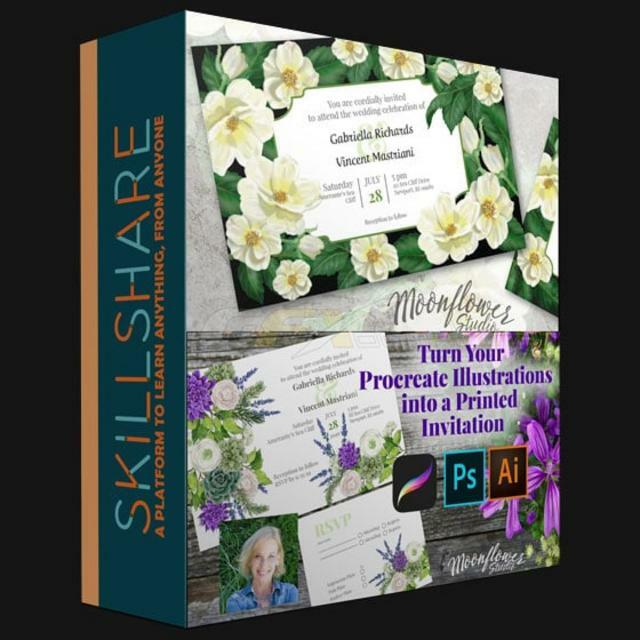 Turn Your Procreate Illustrations Into a Printed Invitation and RSVP Card | Free eBooks Download - EBOOKEE! In this class, we will be taking the botanical illustrations we created in Procreate to make a print mechanical of a Wedding Invitation and RSVP card. This class uses Adobe Illustrator and Photoshop and is for people who already have a basic knowledge of the programs. We will explore Libraries, Artboards, Creating Vectors from our PNG files. We will be exporting our mechanical to a print on demand site such as VistaPrint. If you want to create your own themed wedding or shower invitations from your own art, this class is for you! It is also great for any party event! No comments for "Turn Your Procreate Illustrations Into a Printed Invitation and RSVP Card".